Jobs in Franco-India Pharmaceuticals Pvt. Ltd. - Latest Employment News, Sarkari Naukri, Current Vacancy and Rozgar Samachar. Jobs in Franco-India Pharmaceuticals Pvt. Ltd.
At Various HeadQuaters in UP, Bihar, Jharkhand and West Bengal. The JOB: Calling on Doctors, promoting our range of products, creating a good prescription demand and ensuring the achievement of set targets. The PERSON : Candidate should be a B.Sc or B. Pharma, Below 26 Years of Age, having excellent communication skill and willing to travel extensively. Given the fact that the company is operating in a knowledge-based industry, Franco-Indian lays a great stress on knowledge management and development as a knowledge-based company through dedicated training programmes for all members of sales, marketing and research teams. Franco-Indian, as a consequence of its better HR practices, has not only attracted some of the finest talents in the industry, but also retained those talents contrary to the common industry practices. In 1961, FRANCO-INDIAN reached an agreement with LABORATOIRES GRIMAULT, FRANCE to market their specialties in INDIA and subsequently started its own manufacturing unit in MUMBAI. This Company over the years has developed expertise in the manufacture of products for Diabetes, for the treatment of Vitiligo, Psoriasis & Hepatic disorders. Today, LABORATOIRES GRIFFON (earlier LABORATOIRES GRIMAULT) enjoys a major share in Therapeutic segments like Anti- diabetics, Hepatoprotective and Dermatology. This Company has manufacturing units at KOLKATA in West Bengal, SAHIBABAD in Uttar Pradesh and CHENNAI in TamilNadu. WARDEX PHARMACEUTICALS PRIVATE LIMITED was established with a view to meet the increasing demand of DEXORANGE SYRUP, the leading Hematinic and also the brand leader in this segment. The objective of this Company was to ensure availability of DEXORANGE SYRUP all over India, keeping logistics of the country in mind. Besides the Anti-anaemic segment, WARDEX PHARMACEUTICALS has a strong presence in the field of Bronchodilators and Cough and Cold preparations with their products GRILINCTUS and GRILINCTUS BM SYP/TABS/PAED.SYP. GRILINCTUS BM is a brand leader in it's segment. With a view to keep in mind good manufacturing practices as a fundamental rule, this Company was established as a manufacturing unit at CHENNAI and over the years FRANCO-INDIAN REMEDIES has emerged as a successful tablet and liquid manufacturing company. 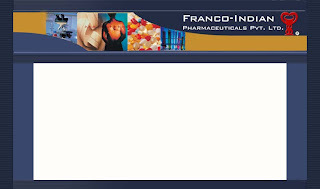 Today, FRANCO-INDIAN PHARMACEUTICALS PRIVATE LIMITED, besides having its own manufacturing unit at MUMBAI, also utilizes the manufacturing facilities of LABORATOIRES GRIFFON , WARDEX PHARMACEUTICALS and FRANCO-INDIAN REMEDIES and have thus achieved a respectable ranking in the Pharmaceutical Industry of India. Over the years FRANCO-INDIAN PHARMACEUTICALS PRIVATE LIMITED has grown in stature and as on today has over 1200 Employees inclusive of 400 Marketing Professionals, together with a Distribution network of 18 C & F Agents and 1100 Distributors all over India. Today, FRANCO-INDIAN PHARMACEUTICALS enjoys a major share in the therapeutic segments like Hematinics, Antidiabetics, Hepatoprotectives, Dermatology, etc. In the recent past, FRANCO-INDIAN PHARMACEUTICALS has reiterated it's presence in the Antioxidant market by introducing NATVIE-C, MIXCAROTIN, etc. This year, the turnover of FRANCO-INDIAN PHARMACEUTICALS is expected to be in the vicinity of Rs.2.1 billion.